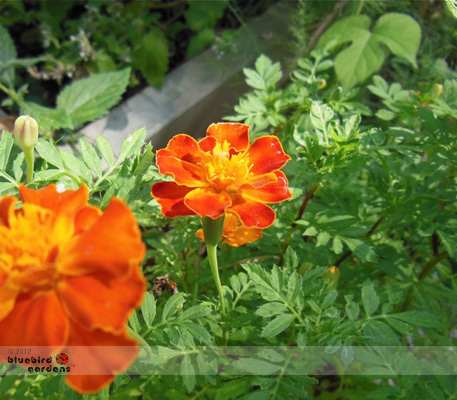 Did you know the leaves of marigolds have been used to remove warts? I plant marigolds to help keep bugs out of my garden. Marigolds are grown and harvested in Mexico to be added to chicken feed. Chickens eating marigold-enriched feed produce eggs with a deep yellow color. Marigold blossoms themselves are quite edible for humans, too, and are often used in egg and cheese dishes. The blossoms can make a yellow dye for fabric.